Starting an online retail business can be surprisingly successful by following these 5 retail solutions online. These powerful, necessary steps to profitability have proven to online entrepreneurs that their businesses can flourish. To start an online retail business obviously requires an excellent "business" website (not just a website), one that is ranked high by the Search Engines so increasing numbers of potential customers may find your e-commerce products. Without a high ranking website, you can spend months and months building it to no avail. It takes just as much time to build an effective website as an ineffective one. Only your focus, your determination and your choice of how to build the website will lead to your objective: significant income. How you choose to build your Internet site when starting an online retail store is absolutely critical to your success. Period. I use a firm called Site Build It, for my online businesses. It has changed my life forever! It will yours too! When you walk in to a traditional retail store your brain immediately registers how you feel about the store: the décor, attractive product displays, how well lit, bright and appealing it is and how friendly and helpful the employees are, etc. The same must be true of your online retail store. Your site must register with your visitor the same look and feel as a successful traditional retail store. You must have tons of product info, tons of pictures and loads of introductory or background information about each product and product line. Your site must invite your visitors in. You must have a personal connection with them. Involve yourself in your product presentation giving first hand good and not so good points about each product you carry. Honesty builds trust and trust leads to sales. Your online retail business, to be profitable, must capture visitors looking for one or more specific kinds of products. keywords that set your e-commerce products in the best light for a sale. The company you use to build your website must show you how and where to find this important information. Your business life depends upon it! The overwhelming numbers of online retail businesses offer free shipping. To be competitive, you must also. I know, this cuts into your profit margin. When you follow the above three factors to success your volume of sales will override this expense. The #1 inhibitor to online sales is charging a fee for shipping. It’s A-OK to place a floor under free shipping. For example you may actually even benefit by have a shipping policy that says something like “free shipping on all orders over $50.” Please think this through, as this is a huge key to your success. I know this from personal experience. 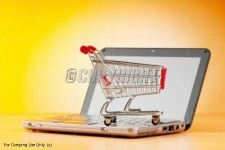 An online retail business must have at a minimum at least three consumer friendly policies. Excellent service must be considered as part of your retail store-marketing plan. First, a “no questions asked” return policy is a basic given. Second, your customer wants their purchased product now, not two weeks from now. If you inventory your products, then that means fill that order today and ship tomorrow. If your retail store uses a drop shipper, then choose one, which expedites fast shipping. Please learn more about drop shipping as a means to start your online retail store. Drop shipping is highly successful. Third, you must give your customers as many opportunities as possible to interact with your business. That means encouraging customers to ask questions about any aspect of your business through a contact us link, a Facebook site and Twitter. If you have taken original photos of your products then posting on Pinterest and Facebook is absolutely mandatory. Once retailing gets in your blood it is hard not to be consumed by the passion of it. Those entrepreneurs catching this bug usually prosper and prosper well. If I may help you in anyway please just click on my photo on the upper left of this page. My passion is helping you get off on the right track and grow your online retail store to reach you financial objectives. My services are Free. This is not some of come-on or trick to get you to buy something. Nope! This is a sincere offer of mine to Pay It Forward for all those folks who have helped in my entrepreneurial efforts. Thank you for visiting Starting a Online Retail Business: the 5 Factors Necessary for Success.